Robert Kenneth Lindell is found guilty on 15 counts of securities fraud in what authorities call one of Maine's worst cases of elder financial abuse. A securities agent and former state legislator has been convicted of defrauding two widows out of more than $3 million in what authorities said was one of the worst cases of elder financial abuse in the state. Kenneth Lindell, who was a state legislator for two terms, was convicted of 15 counts in a case of elder financial abuse. Robert Kenneth Lindell, 53, was convicted by a Penobscot County Superior Court jury last week on 15 counts of securities fraud, intentional evasion of Maine income tax and failure to pay Maine income tax. Prosecutors said Lindell began acting as a securities agent for Phyllis Poor of Belfast in the early 2000s and was eventually given the woman’s power of attorney and named co-personal representative of her estate and trustee of accounts for the woman’s disabled veteran son. Poor died in 2012, said Gregg Bernstein, the assistant attorney general who prosecuted the case. The state said Lindell used that access to Poor’s finances to write checks to himself and his company from the accounts of Poor’s estate, paying personal expenses with trust and estate money, and buying, renovating and living in a home in California wine country with money from Poor’s accounts. He also stole from a trust set up for Poor’s son, a disabled veteran who lives in an assisted living facility in Florida, Bernstein said. The second widow is Gianna Lewis, who prosecutors said lives outside Paris and has known Mr. Lindell since he was born. Lindell was the trustee for accounts set up for the woman’s benefit by her late husband, and Lindell was convicted of writing himself checks from her account and paying his personal expenses with the money. Lindell was handling Lewis’ assets in the United States, Bernstein said. Lindell also failed to pay taxes on the money he took from the accounts and received tax refunds to which he wasn’t entitled, the jury found. Two of the counts against Lindell were Class B crimes, each punishable by up to 10 years in jail. Another eight were Class C crimes, which each carry a sentence of up to five years in jail, and five were Class D crimes, punishable by less than a year in jail. Shaw said a sentencing date for Lindell hasn’t been set, but it’s expected to take place in January. According to the Financial Industry Regulatory Authority, Lindell has 22 years of experience as a financial agent. He has been sanctioned nine times since 2001, and in 2017, he was barred from operating as a broker for an indefinite period after the criminal charges were lodged against him and Lindell failed to respond to FINRA’s requests for information. Lindell lived in Cloverdale, California, before his bail was revoked in May. He still owned property in Frankfort, Maine, where he served two terms as a Republican state legislator from 2004 to 2008, when he was defeated in a re-election bid. 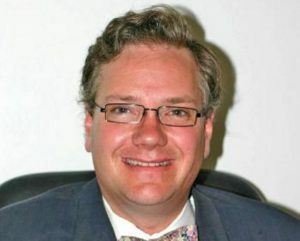 Lindell’s bail was revoked in May after a judge was told that Lindell was acting as a trustee for someone, violating a condition of his bail after an indictment was handed down by a Penobscot County grand jury in July 2017. Bernstein, who prosecuted the case, said the state will seek full restitution as part of Lindell’s sentencing. He said a lawyer representing the trust Poor set up for her disabled veteran son has started a civil suit against Lindell and attached the property in California as part of that action. A call to the attorney representing Poor was not returned Tuesday. Calls to Zachary Brandmeir, Lindell’s lawyer, also were not returned. The case was investigated by Cathy Williams, senior investigator for the Maine Office of Securities.